On November 10, H.E. 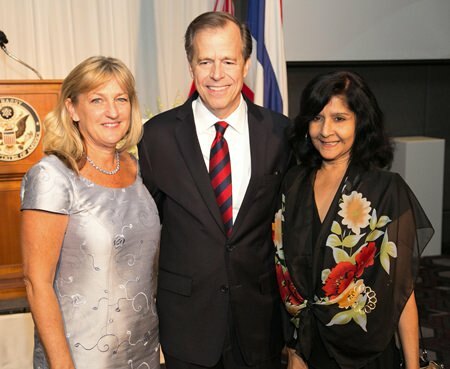 Glyn T Davies, the newly appointed US Ambassador to Thailand, and his wife Jacqueline held an introductory reception at the JW Marriot Hotel in Bangkok. The objective was to meet and greet friends and colleagues in the Kingdom of Thailand. 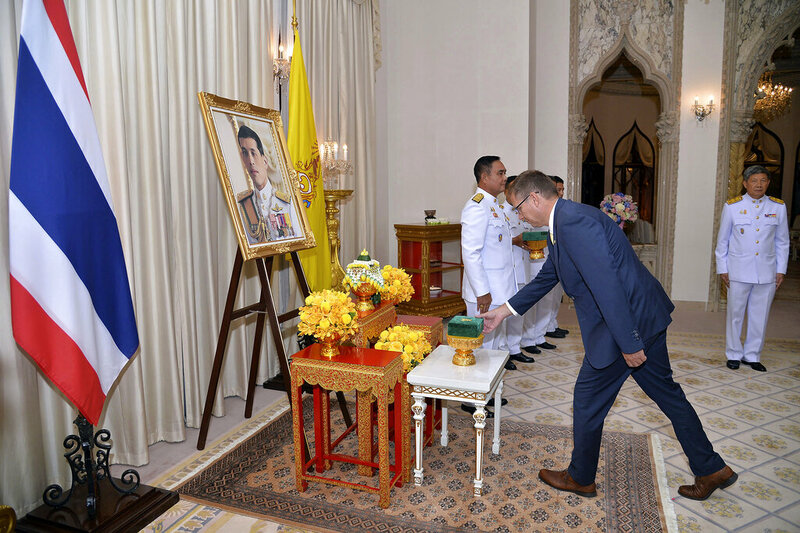 The event was attended by hundreds of distinguished guests, including current and former members of the Thai government, academic, security, diplomatic, civil society, and business communities. (L to R) Jacqueline and H.E. Glyn T. Davies, US Ambassador to Thailand, meet Sue Kukarja from the Pattaya Mail. In his speech, His Excellency Davies stated his commitment to maintaining and expanding the U.S. – Thai partnership that has endured nine generations covering a wide range of issues. (L to R) Sue Kukarja, H.E. 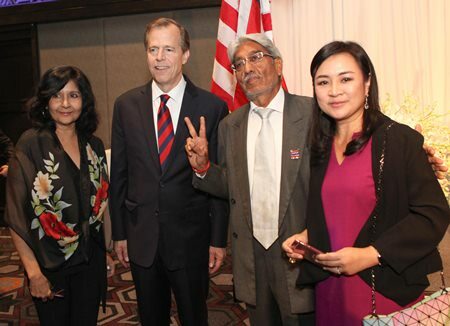 Glyn T. Davies, US Ambassador to Thailand, Satish Sehgal, president of the India Thai Business Association, and Sattakamol Worakul, executive editor of New TV. He stressed joint efforts to advance regional security, trade and investment, public health, and assisting refugees and displaced persons. Additionally, he would like to see continued collaboration in fighting against drug, wildlife, and human trafficking, while assisting in environment protection. Concluding his speech, HE Davies also expressed his hopes for Thailand’s success on its path back to democracy. H.E. 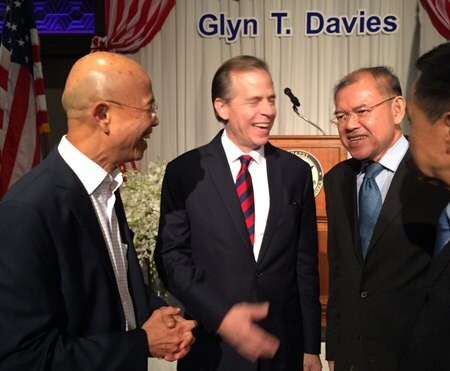 Glyn T. Davies (center), US Ambassador to Thailand, shares some light moments with distinguished guests.